It’s been a long time since there were high expectations set for the Florida Gators offense. Really, scoring has come at a premium for nearly a decade. 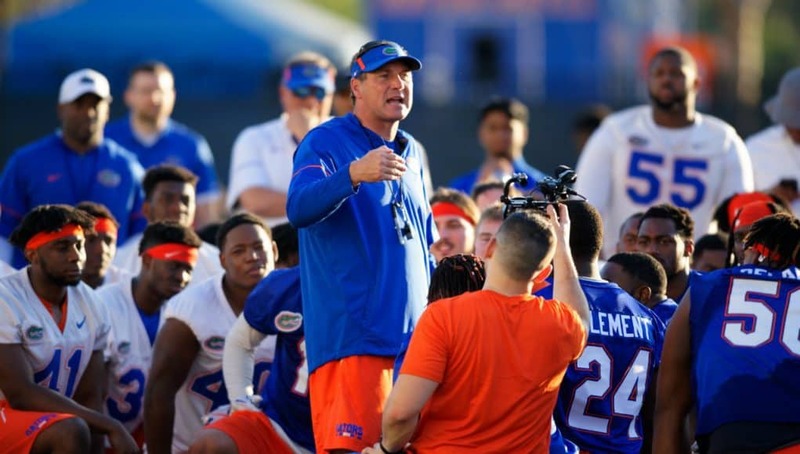 The mindset of Florida’s offense has continued to dwindle year after year, but head coach Dan Mullen is out to change that. He saw a real need for change during one specific drive in Monday’s scrimmage. The offense had the ball in the red zone at the 8-yard line. A receiver dropped a touchdown pass on first down, and another dropped a pass on second down where he would have easily walked into the end zone. That’s when the trauma taken from past experiences started to set in. Mullen said it felt like the offense thought the world was coming to an end because it had two chances to score but hadn’t been able to yet. 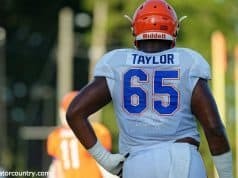 It is easy to understand why, because that has been the typical thing to think in the time most of those players have been at Florida. When the team didn’t do something on first or second down, it was almost like a general acceptance that either the punter or field goal kicker would be coming in soon. In reality, the Gators were still just a few yards away from six points. The offense ended up scoring a touchdown on that third down play, but Mullen was not happy with the energy he felt from his team. That expectation to score is just something that may take a little time. 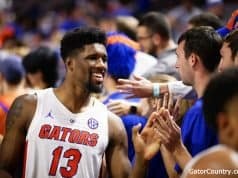 For the longest time, watching Florida’s offense has simply been hoping and praying that it could pull something out of a hat, or at the very least, not turn the ball over and give the defense a chance to score. Building the expectation that good things are going to happen each and every drive is something that requires confidence. And to improve confidence, the players have to work every day on the mental part of their games. 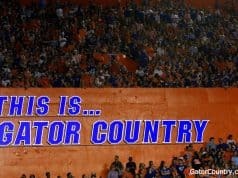 Just those few comments gave some true insight into the mindset Florida’s offense has had for many years now. It is sad to think that it got to the point where players were just relieved to score points, but with Mullen and his staff constantly pushing an expectation to be great offensively, it likely won’t be that way much longer.